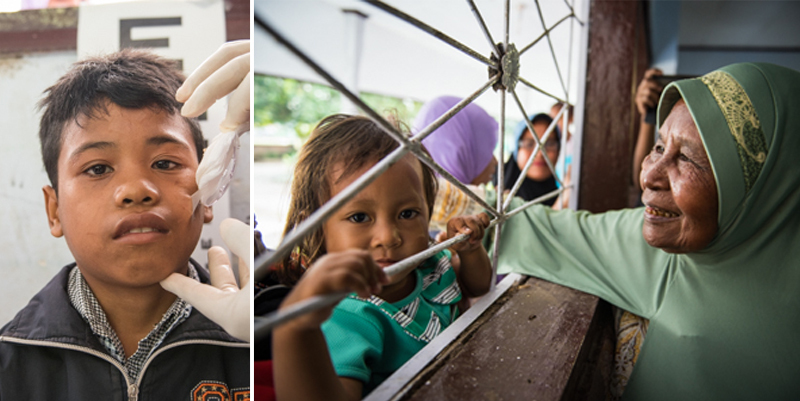 Mufti and Aminah are just two of the people who had their sight restored in JFF’s four-day program in Sumbawa in May. 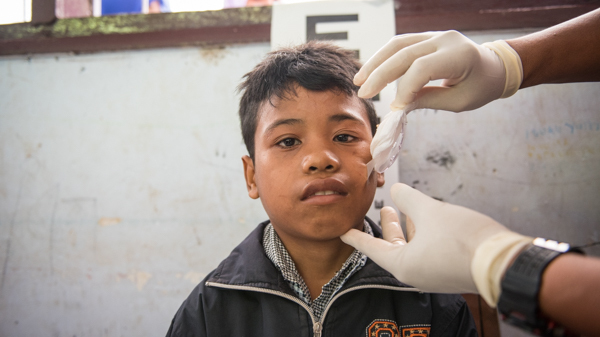 Thirteen-year-old Mufti went blind in one eye at when he was about six years old and has had no sight in that eye since then. 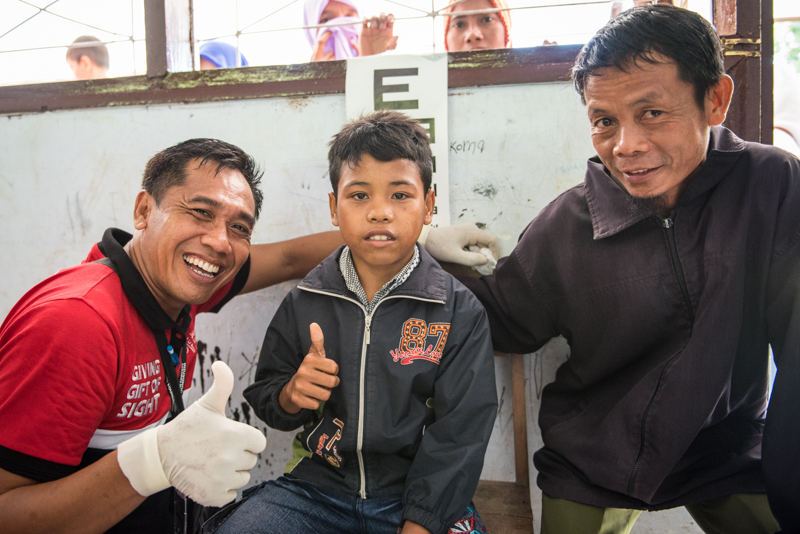 When the JFF program came to his hometown of Dompu in May, he grasped the opportunity to have his sight restored and bravely entered the mobile eye clinic for the operation. 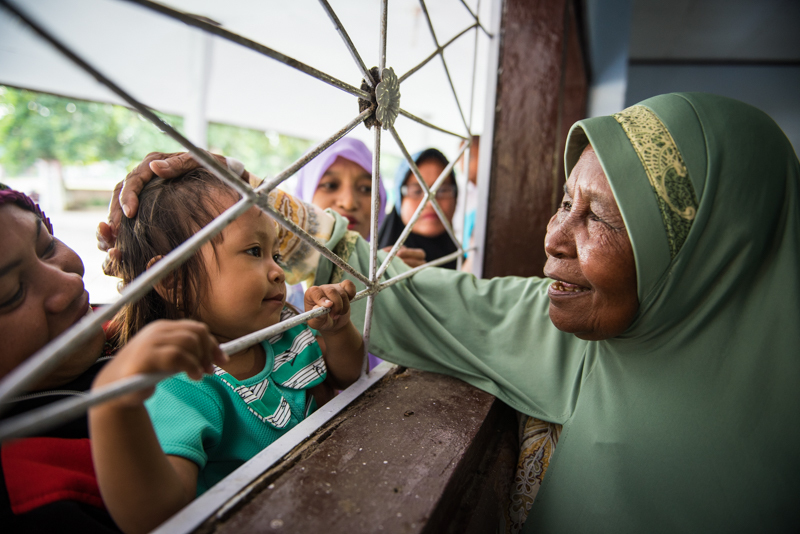 Aminah lost her sight to cataracts about two years ago and had never seen her daughter’s little girl. All she could do was feel her and talk to her. She (along with the rest of her family) was delighted to have her sight restored and see for the first time her little grandchild.